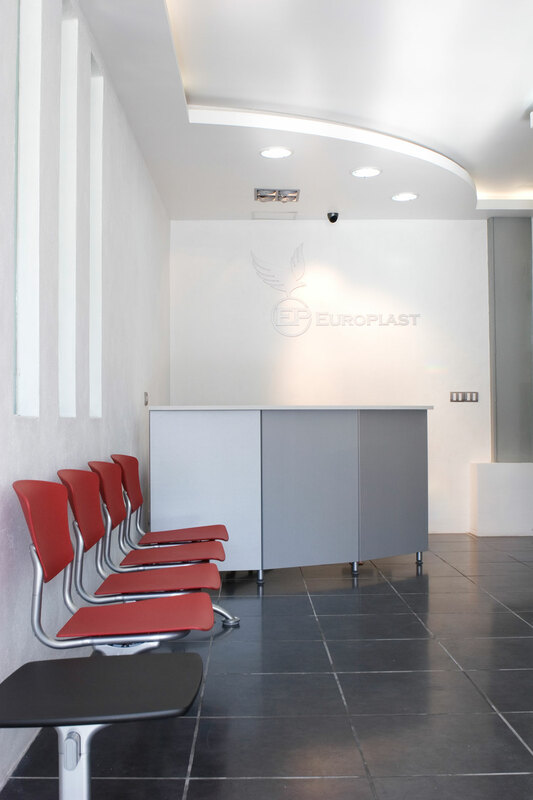 Europlast is a pioneering company in plastic transformation in Mexico, with more than 45 years experience in the sector, specializing in the manufacture and development of plastic products for industries, agriculture and the home. It describes itself as “a dynamic, creative, confident and innovative company committed to society” which furthermore, chose the products that Actiu offer to equip the new corporate offices. 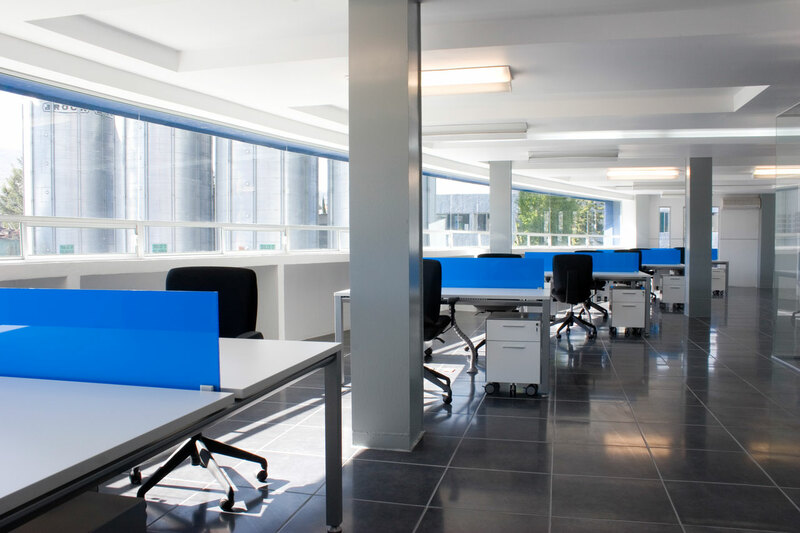 The new headquarters have a surface area of 2000 m2 distributed in spacious and light rooms destined for operative users, offices, meeting rooms and a communal area which will be used for the canteen. 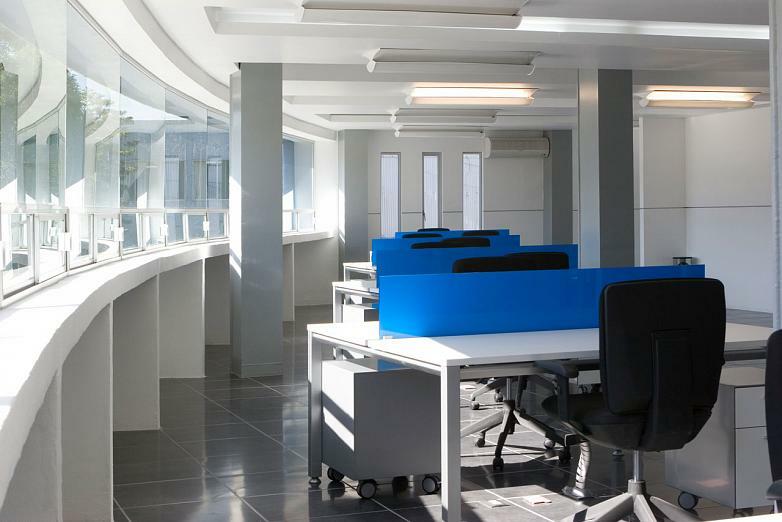 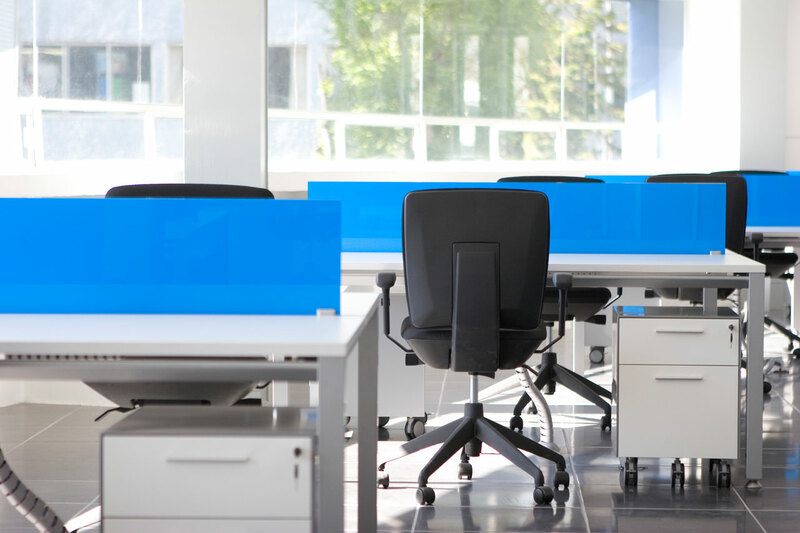 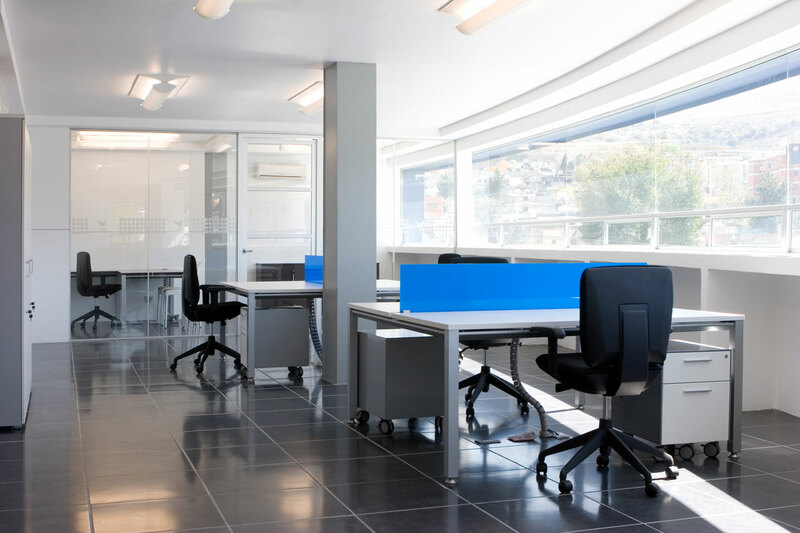 The workstations have used the Vital double desk program, carrying out different compositions and looking to make the most out of the space. 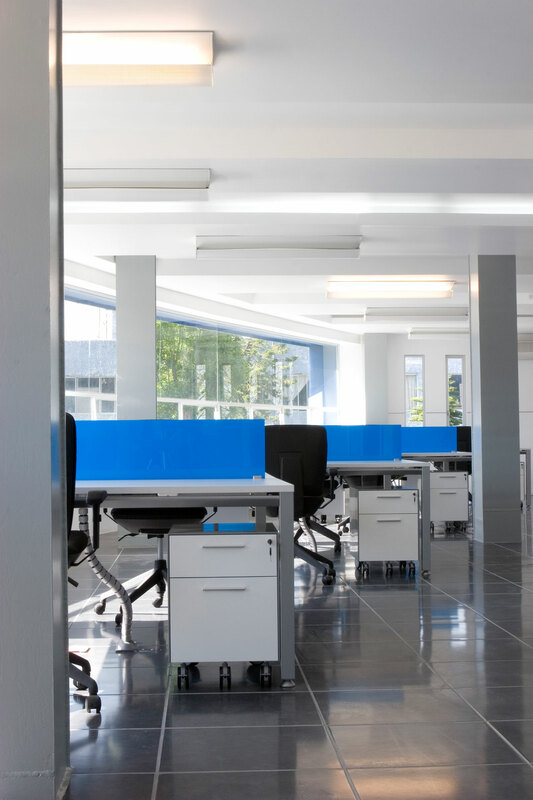 The result was a light and airy space, tidy and light, thanks to the subtlety of the product and the colours used. 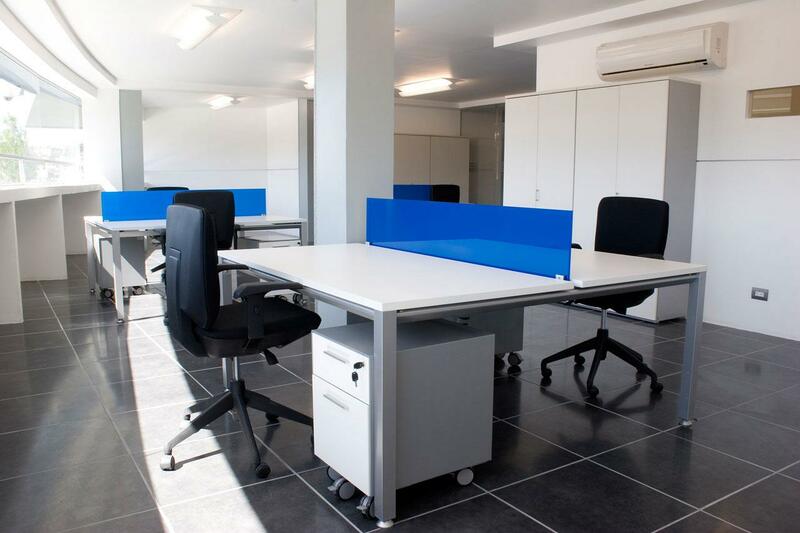 All the work surfaces are made of white melamine, adding coloured table top dividers, in blue and red security glass, made to measure as per customer´s request to match its corporate colours. 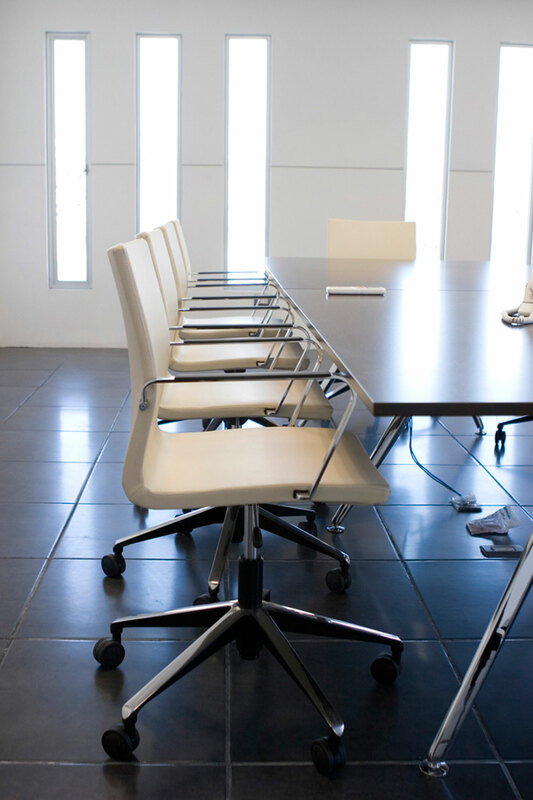 All operative positions have the model Ergos chair, robust and very comfortable, upholstered in black. 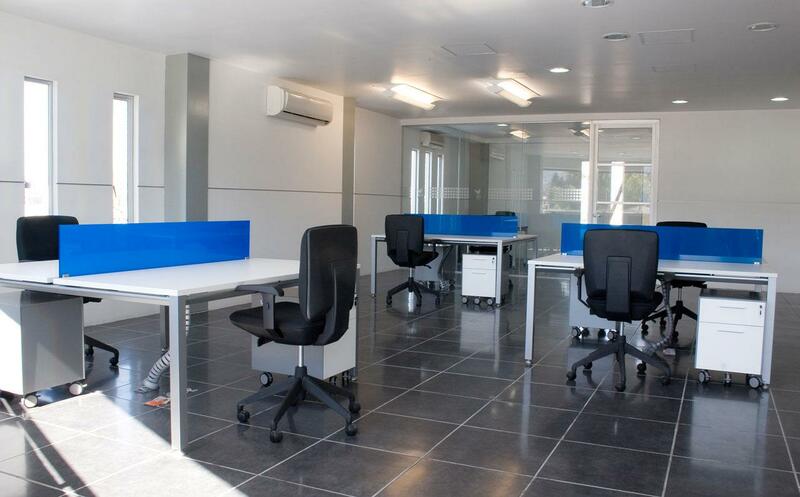 Furthermore, we have placed, in strategic points, modular cabinets to cover all the filing needs of the office. 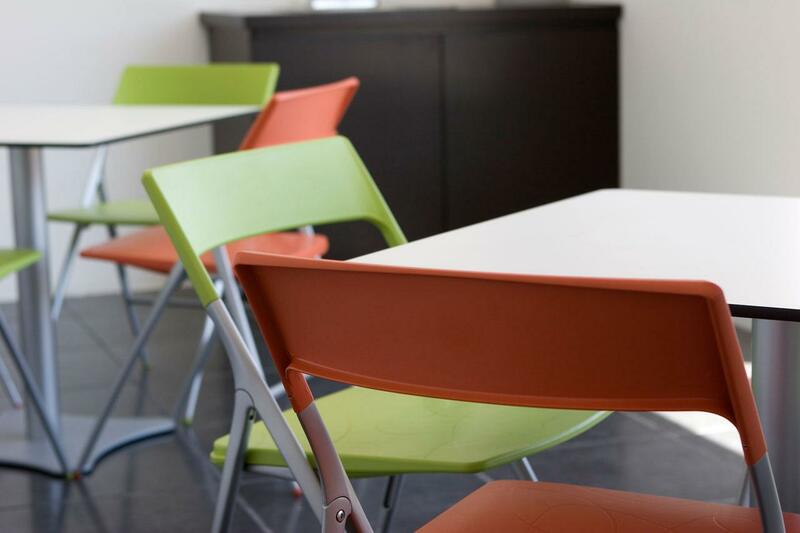 The firm has a cafe area and a canteen for its employees and visitors which has been equipped with cafe tables and Plek chairs, in orange and pistachio green. The meeting room is characterized, like the rest of the installation, by intense lightness which provides a reflection of natural light on its white walls. 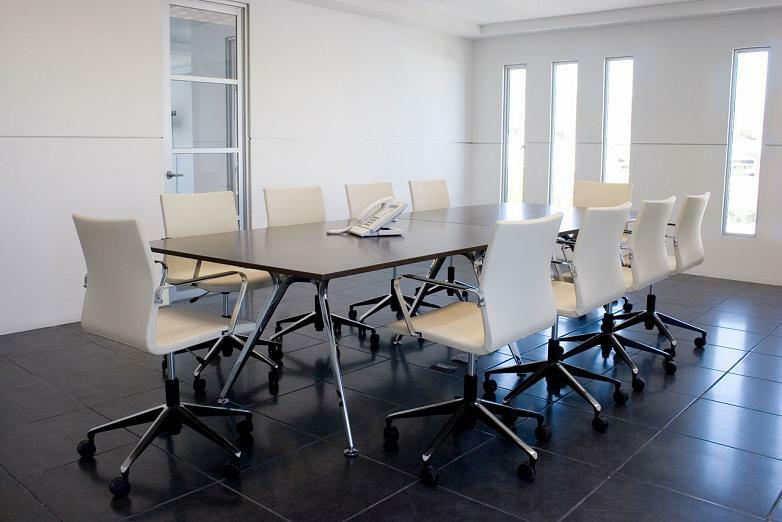 As a contrast the Arkitek table has been added with its elegant chrome legs and its table top in wenge, the chairs belong to the model UMA, with castors and gas elevation, upholstered in white. 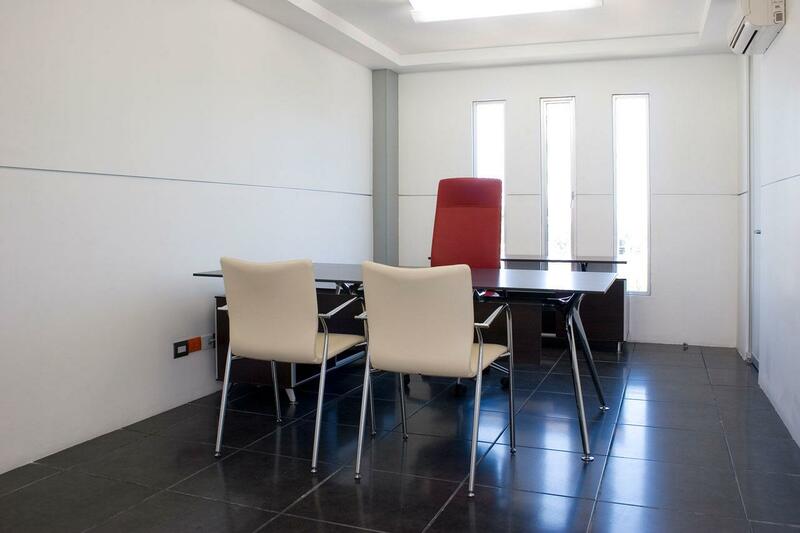 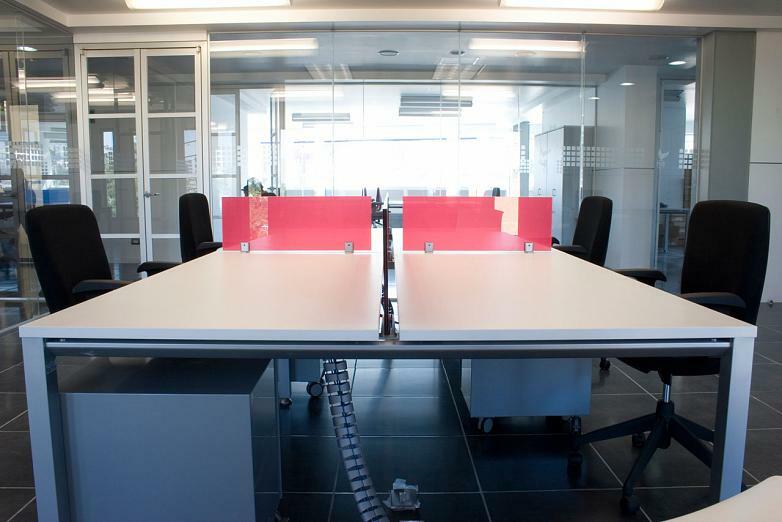 The same lines have been followed in the offices, the Arkitek table in wenge but with Íkara white visitor chairs. 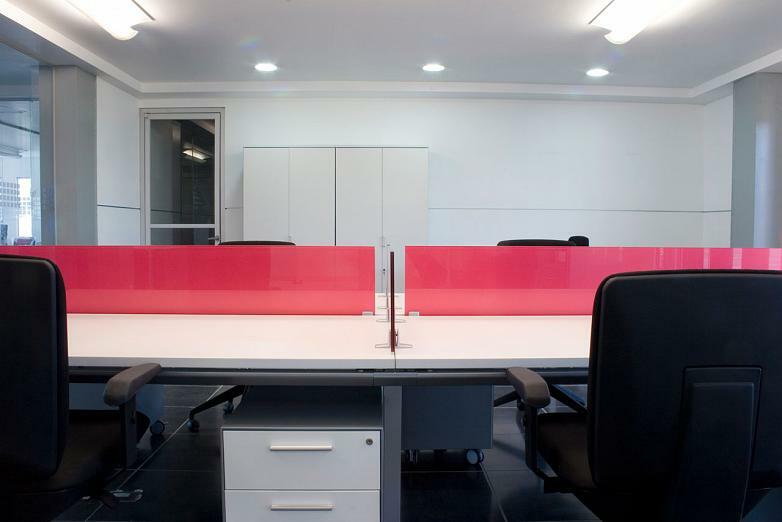 In this case the Arkitek desk supports one of its sides upon Block, a filing accessory which combines perfectly with this program and offers an avant-garde image. 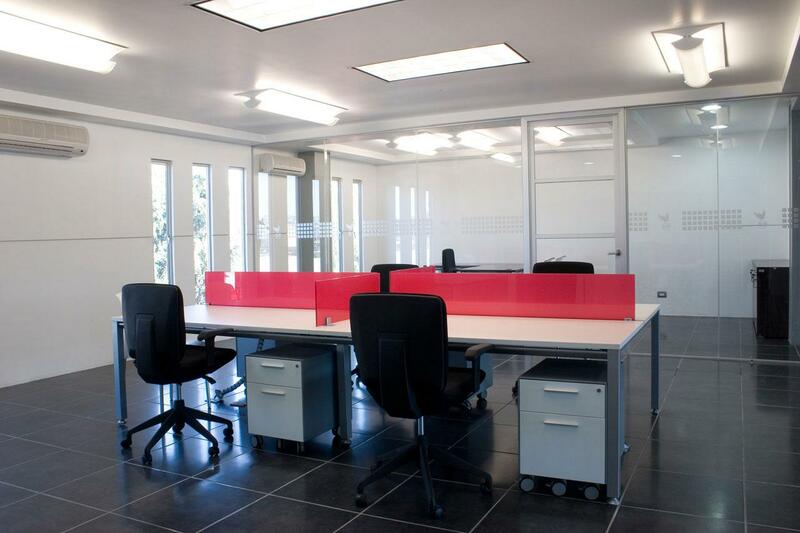 The office is completed with the TNK 20 management chair with its high back and headrest in red.